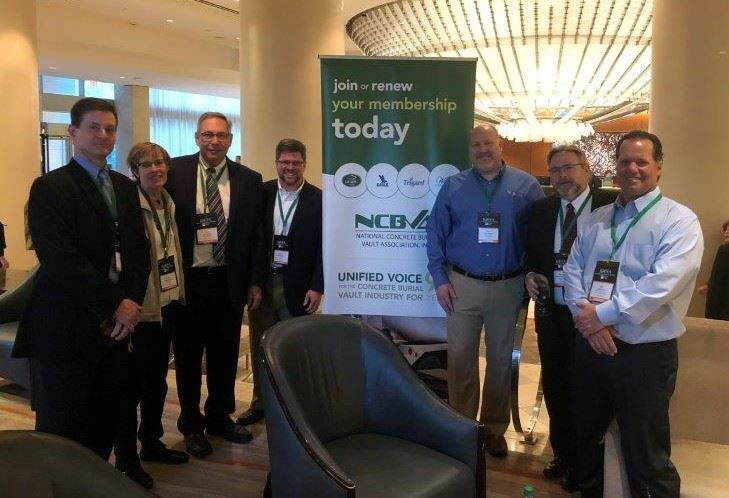 The National Concrete Burial Vault Association (NCBVA) provides a unified voice for the concrete burial vault industry, regardless of product affiliation, brand recognition or location. This site offers resources to members of the NCBVA and the public. Here you will find information about the manufacture of quality burial vaults and the role of vault manufacturers in working with their communities to create a lasting resting place for loved ones. NCBVA serves single and multi-site burial vault manufacturing plants, burial vault affiliates, and industry vendors throughout the United States and Canada. By advancing our shared values of quality and commitment for the manufacture of strong, efficient concrete burial vaults, NCBVA members strive to make the loss of a loved one easier. A new article by Poul Lemasters, NCBVA Legal Counsel to make sure you know the risks - and more importantly - the process of how to handle and reduce your liability at the graveside. Listen to the recorded Q&A session with Poul LeMasters, NCBVA Legal Counsel. View directory of certified plants.